Before you create any content, it’s important to define some goals. Ask yourself why you’re creating content in the first place. Are you trying to establish yourself as an authority? Do you want to drive signups for your email list? Do you want to sell ecommerce products? Review your goals before you plan and produce content to make sure it aligns with your needs. If you have an idea for a piece of content that doesn’t serve your goals, scrap it. Sometimes called buyer personas, audience personas are critical ways to create truly customer-centric content. They help you understand your customers well so you can create the exact type of content they want to read to engage with. So your first step to creating a content marketing strategy is to develop an audience persona. An audience persona is a fictional representation of your ideal customer. It’s a gathering of everything you know about your audience. If you have multiple customer segments, you might need multiple personas. Once you start creating content, you’ll be able to analyze your website’s metrics to determine which pieces of content they like to consume. If you haven’t created any content, however, the best way to learn about your audience is by talking to them. Have real conversations with people you expect to consume your content to discover their needs and problems. As you learn, collect all of your information in your strategy document. Refine it over time as you gain deeper knowledge about your audience. HubSpot has a great persona tool to get you started, but don’t be afraid to go beyond their questions. The more you know about your audience, the more opportunity you have to create content they love. To learn how to determine who consumes your content, check out this guide: How to Get a Better Handle on Who Is Reading Your Content. Blogging is the most popular way to create content, but it’s not the only one. Your audience may prefer podcasts, videos, infographics, webinars, whitepapers, ebooks, or even in-person speaking engagements. 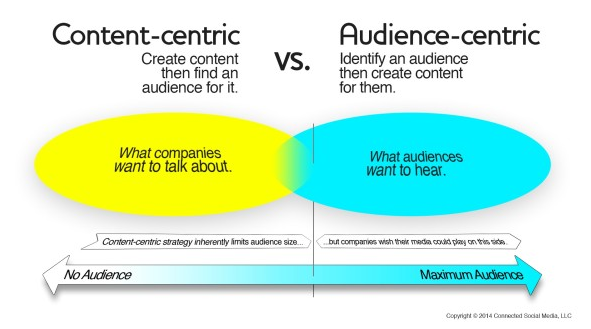 To determine which type of content to create, look to your audience. What do they want to consume? For instance, a busy mom may not have time to read lengthy blog posts or ebooks. She may prefer to browse Pinterest photos or watch quick videos. A corporate executive who budgets time every week for education might be willing to read long guides, however, or even attend webinars and lectures. Furthermore, don’t forget to consider your lead magnets. Whether you’ll only create a few or plan to make content upgrades for everything you post, you’ll want to consider what those will look like as well. Your editorial calendar is the biggest piece of your content marketing strategy. It’s where you decide what you’ll create and when you’ll publish. Stay consistent (content is easy to put off for other business needs). Publish on a reliable schedule. Address all of your content categories. Create content for all of your personas (if you have more than one). There are plenty of fancy tools to create calendars, but as a beginner, all you need is a simple (and free!) Google Sheet. First, identify the major themes of your content. These will help you map your content to your audience’s problems (and make sure you address all their needs). For instance, if you’re creating content about sales, you might set up these categories to solve your audience’s problems. Next, start brainstorming topics. You don’t have to plan all of your content in one go, but it’s important to have at least eight or ten topics on your calendar. Plan topics for each of your category buckets. As you create topics, keep these four things in consideration. There’s a lot of content on the web. Much of it is repetitive. It helps to give whatever you’re creating a unique angle. If you want to make your content stand out, find a way to say something different. Search engine optimization is a big topic. It’s not the end-all-be-all of choosing topics like it used to be, but if you want to be found via Google, it helps to have an understanding of how the search engine works and how to incorporate the right keywords into your content. For more information, read our longer guide: SEO for Bloggers: How to Make Your Blog Rank in Google. The buyer’s journey is the path people take toward making a purchasing decision. First, they become aware of their problem. Then they consider solutions. Finally, they decide on a solution/provider. Someone in the first stage of their journey may not be able to explain their problem at all. They need content to help them grasp their own problem. But someone in the final stage of the journey already knows their problem, so they need help understanding why you’re the best person to solve it for them. Your competitors are a great source for topic inspiration. Using an SEO tool like Ahrefs or SEMRush, you can identify your competitors’ top pages. Once you know what your competitors rank for, create similar content to compete with them. Naturally, you shouldn’t copy their work, but it’s smart to use their content as a launchpad to produce something better and more valuable. Publishing content isn’t enough. You must take active steps to promote it. This is a step a lot of beginner content marketers neglect, which is why their content never attracts an audience. Like every part of content marketing, this also depends on your audience’s preferences and behaviors. It’s important to promote your content where they prefer to see it. Fortunately, your audience isn’t everywhere. You might be tempted to start a dozen social media profiles to maximize your promotion, but that isn’t necessary. You can reach most audiences by optimizing two or three promotional channels. Share the content’s images on Instagram. Answer some questions on Reddit and Quora. That’s just a sample. Your promotion workflow should be unique to your brand. You may post your content to a unique platform most people have never heard of, but it could work if that’s where your customer expects to find it. A strategy is no good if you don’t measure its impact, so it’s important to regularly evaluate your system’s performance. Only then can you make optimizations and tweaks to improve your future work. Surprisingly, this is another step beginner content marketers neglect to take. They create loads of content but never stop to gauge its effectiveness. To measure your results, go back to your goals. If you set a goal to collect 250 leads, look up how many you’ve collected so far and from which sources. If, for instance, one type of lead magnet tends to produce the most leads, consider spending more resources creating and promoting lead magnets like that. There are many tools you can use to measure your content, but beginners should stick to Google Analytics. It’s not as user-friendly as other tools, but it’s very comprehensive and full of any feature you could need. It’s also entirely free. Google Search Console is another useful tool. It helps you track your site’s technical and SEO performance. Hopefully, you’ve found this primer helpful. If you take one lesson away, let it be this: A structured approach to content is crucial. 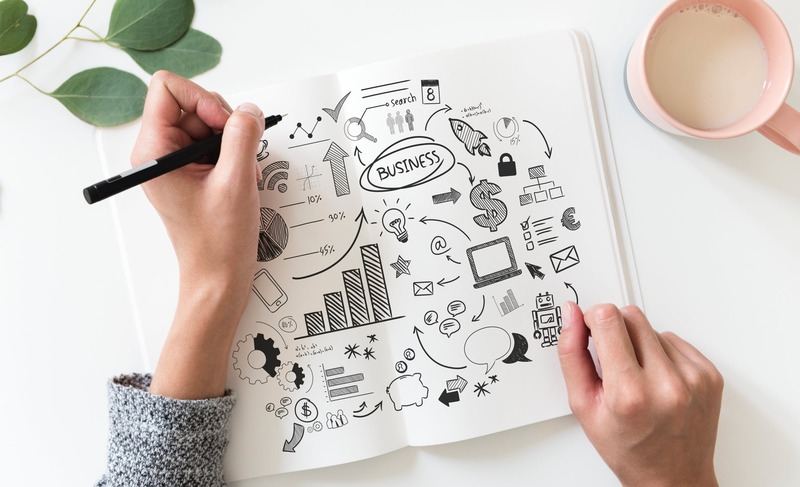 Your content marketing strategy may not mirror the steps we’ve outlined, just make sure to create a plan, follow a process, and measure your results. This entry was posted in Elements of Content Marketing and tagged Content Marketing Strategy, Developing a Successful Content, Source Ideas for New Content Topics. Bookmark the permalink. ← Do You Need Multiple Lead Magnets?